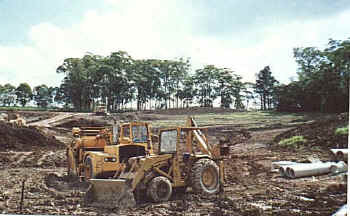 In the late 1980s the community and the Department of Education saw the need for an additional school in the Cherrybrook area to support the rapidly growing North-West sector of Sydney. One group wished to see the school built on land further to the west, however a strong community voice argued for an eastern site within Cherrybrook. The final decision was to build on land adjacent to John Purchase Public School, on land formerly used as orchards containing remnants of old growth forest. The school was to be a local area comprehensive high school with an estimated population ceiling of approximately 900. However at that time the government was creating a series of Technology High Schools throughout the State. Talks between the Minister of Education at the time, Dr Terry Metherell, and the CEO of IBM, Mr Brian Finn, resulted in business involvement and the concept of a specifically designed and purpose built technology high school. The educational philosophy behind the school emerged from the experiences and writings of two major curriculum leaders, Dr Fenton Sharpe (then Director of School Education) and Mr John Lambert (Assistant Director General of School Education and later President of the Board of Studies) plus the political imperative to establish a model of rejuvenated school education. The curriculum was to provide a comprehensive education with specialist options in technology areas. The teaching, learning and organisation was to break with traditional practices and have more emphasis on individualised learning paths. “Technology” was seen as a means of supporting the general educational philosophy rather than being an end in itself. Students would learn “with, through and about” technology in every aspect of their schooling. Technology was seen in the broader sense of a process to assist more individualised learning programs with a secondary effect of gaining specific skills and a mindset that accepted change and technological innovation. The school also was to be integrated into the local and broader community through a School Council and direct links with business. 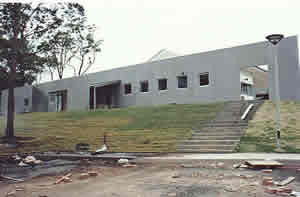 Consequently CTHS began with a negotiated link to IBM who were involved in the design and construction of the buildings and the computer infrastructure of the school. 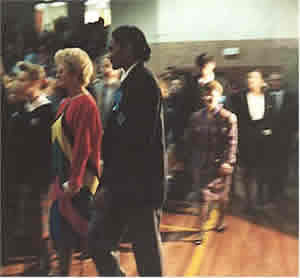 In 1990 the Principal, Mrs Lyn Wendtman and the two Deputy Principals, Mr Peter Gillam and Mr Dave Wilson were selected. 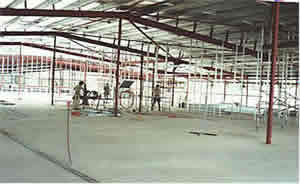 They took up their duties in February 1991 during the latter part of the construction phase and were involved in complex negotiations between various businesses and the Public Works designers and builders as the school took shape. They worked with the local community in developing a P&C and School Council and together they formulated the original vision, the staffing and enrolment model, school organisation and draft policies. In 1991 the first intake of students were accommodated and taught at Pennant Hills High School. As well as visiting their new school site during the year they were instrumental in designing the current school uniform and in 1992 they moved to Cherrybrook as Year 8 and were joined by 180 Year 7 students and approximately 100 Year 11 students drawn from across Sydney. There was much local interest in the developing school and it’s enrolment boundaries and there was considerable concern when it was realised that Cherrybrook PS was partly located outside the boundary. A committee of staff and community representatives developed a set of criteria to form the basis of student selection of those deemed “non-local”. Staff for 1992 were gained from both lateral transfers and merit selection. Additional staff (in the following years) were all appointed by merit and the community had a representative on each selection panel. Changes since those early days have meant that by 1998 the school was staffed in the same way as any school in NSW. 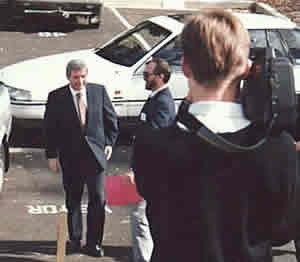 The school was officially opened on the 15th May, 1992 by the Hon Nick Greiner, MP (then Premier of NSW) and since then it has continued to grow, prosper and earn an enviable reputation as a school of excellence. This page was originally created by the students of CTHS in 1997.